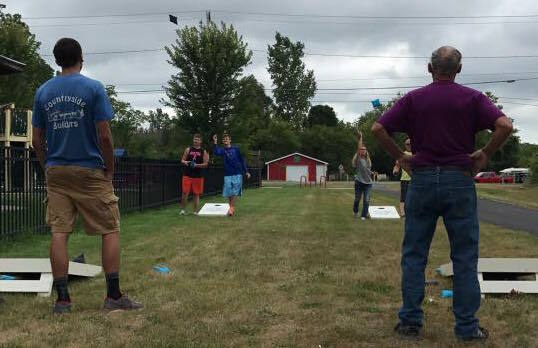 Practice up on your skills and get on down for several rounds of corn-throwing competition. Start time will be 11:00 A.M. on Saturday at Maddie’s Park, alongside of the Heartland Trail. Registration is $20 per team and will be open on tournament day at the park from 10:00 A.M. The bracket will be completed by 10:45 A.M. Cash prizes will be awarded to the 1st and 2nd place champs. Pre-registration is not necessary, but is appreciated. Applications will be available soon here on the SOFD web site. Note: times and locations are tentative. Stay tuned to this page for updates. Hosted by the Montcalm County Fire Association. A portion of proceeds will benefit the MCFA for Firefighter Training.